Sound Transit is on the brink of voting on whether or not to implement a low-income fare for their system. The Coalition on Homelessness has joined with Transportation Choices Coalition, OneAmerica, Puget Sound Sage, Futurwise, the Housing Development Consortium, and Transit Riders Union in support of the expansion of the ORCA LIFT program to all routes in Snohomish, Pierce, and King Counties, as well as implementing a low-income fare on the Sounder Train. Check out our joint letter! There are mutiple fare change options being discussed and you can view more details here. We support the option that implements a low-income fare for ALL routes in King, Snohomish, and Pierce counties. Additionally, we support having a low-income fare on the Sounder train. Read Hillary’s public comment below and make sure to read our joint letter to the Sound Transit board here. The Sound Transit Board will vote on Thursday 11/19/2015. Public comment is technically closed but you can view the results of public comment here. There will also be public comment taken at the Board Meeting 11/19/2015 at the Ruth Fisher Boardroom at Union Station (401 S. Jackson St, Seattle, WA 98104). Awesome representatives from organizations verifying information for ORCA LIFT cards in King County. Hello, my name is Hillary Coleman, Mobilization Coordinator at the Seattle/King County Coalition on Homelessness, and here today on behalf of our Coalition’s member organizations to encourage you to serve Sound Transit riders across the entire system by expanding ORCA LIFT to reach riders in King, Snohomish, and Pierce Counties. We are thrilled to see Sound Transit poised to take this very positive step to make transit more affordable and accessible to current and new riders. I echo much of what has been shared both in comments today, and in the joint letter from Transportation Choices Coalition, OneAmerica, Puget Sound Sage, Futurwise, the Housing Development Consortium, Transit Riders Union, and the Seattle/King County Coalition on Homelessness. Sound Transit is in a unique position in that it serves King, Snohomish and Pierce County residents. From an equity standpoint, Option 2 (expand low-income fare to all routes in King, Snohomish, and Pierce Counties) is the strongest proposal because it will benefit riders in all three counties. Doing so will harmonize fare structures across the region and make transit more accessible to all. We can’t have a second class system in some places and a first class system in others. We need people to be able to use a low income fare across the entire region, not solely for buses operated within King County, a limit option 1 makes. As is mentioned on the sound transit website, one of the reasons to consider implementing a low-income fare is that “Sound Transit aims for regional consistency in considering low-income and transit-dependent riders.” Without offering a low-income fare to riders on all routes in King, Snohomish, and Pierce counties, we cannot achieve regional consistency. There are homeless and low-income people in all cities served by Sound Transit, and we must work to ensure that each qualified community member has access to a low-income fare; this includes working with agencies in all three counties to distribute ORCA LIFT cards. 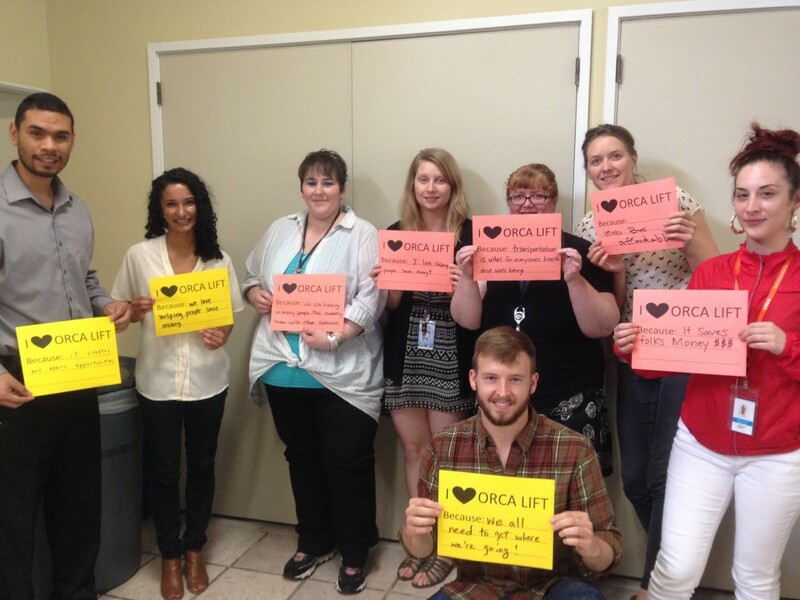 A Coalition friend shared the following story with us that shows the importance of ORCA LIFT for community members. As has been mentioned by others here today, it is important to work with community organizations who provide services to people who will qualify for the low-income fare, similar to the current King County Metro Orca Lift model. Natalia from the YWCA just shared with you the success they are having, and the difference Orca Lift makes in their clients’ lives. This is a good example of how to partner with the community. Adopting ORCA LFIT across the entire Sound Transit system will greatly help low-income and homeless riders be able to access jobs, school, education, family, and healthcare throughout the region. 2014 Coalition Recap: What a great year! As the Coalition on Homelessness is poised for another big year we invite you to reflect on the work you have helped the Coalition complete in 2014. If you would like to become a member (as an organization or individual), please find our membership information here. Join us to advance our shared mission: ensuring safety and survival for people who are homeless, and working collaboratively to end the crisis of homelessness in our region. Project Cool for Back-to School 2014 helped 1,373 homeless students start the school year right with new backpacks, school supplies, and dental kits. We’re preparing for Project Cool 2015, and continuing to move beyond the backpacks, connecting advocacy with service! 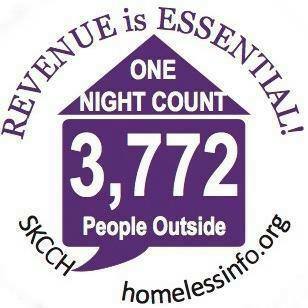 We organized and mobilized over 1,100 people and dozens of organizational partners to carry out the 2015 One Night Count of people who are homeless outside. We documented 3,772 people outside overnight ~ a shocking but not surprising increase of 21% over last year. Within a week we brought the results to Olympia with our Ring out for Revenue and Roofs action. We ensure that these results inform and inspire action year-round. Our two years of advocacy for a low income Metro fare paid off: the OrcaLIFT program launched March 1, 2015! OrcaLIFT is the broadest, deepest public transit access program in the U.S., allowing people earning up to 200% of FPL to ride for half-price. Six Coalition member agencies are helping sign up riders! Visit www.orcalift.com for eligibility and location information. Four times a month, our General Membership and Population Committee meetings serve as lively and collegial forums for Coalition members to talk through timely issues and common problems and collaborate to find practical solutions. Our workshops on Helping Homeless Students: McKinney-Vento 101 and Beyond the One Night Count provided over 200 people with tools to be strong, informed advocates, providers, and community members. We are thankful for the continued support of our member organizations and advocates! Member organizations’ active staff involvement and dues make this Coalition one of the strongest advocacy voices in the region. Our networking, peer learning, leadership development, advocacy, and education are possible thanks to your support! Together, the Coalition will continue our exciting and important work throughout 2015. Click here for more information about becoming a member! Click here to donate now to help the Coalition’s work year-round.